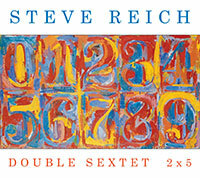 Coming this week, two new pieces from one of the most prolific composers in contemporary classical music, Steve Reich. Double Sextet – The Pulitzer Prize winning composition performed by eighth blackbird, which the Philadelphia Enquirer calls “among the finest pieces of our time”. 2×5 – A classical piece for rock instruments, performed here by Bang on a Can, features electric guitar, piano, bass and drums in a 21 minute piece. This release is going to be a digital servicing only. Look for Double Sextet / 2×5 in your email inbox this week. Going for adds the week of November 15th.